The South African National Biodiversity Institute (SANBI), a research organisation of the South African government, has recommended a temporary ban on leopard hunts for the 2016 season as leopard numbers could not be firmly established. This means that there shall be only four of the "Big Five" game animals to hunt including the African lion, African elephant, Cape buffalo, and White/Black rhinoceros. 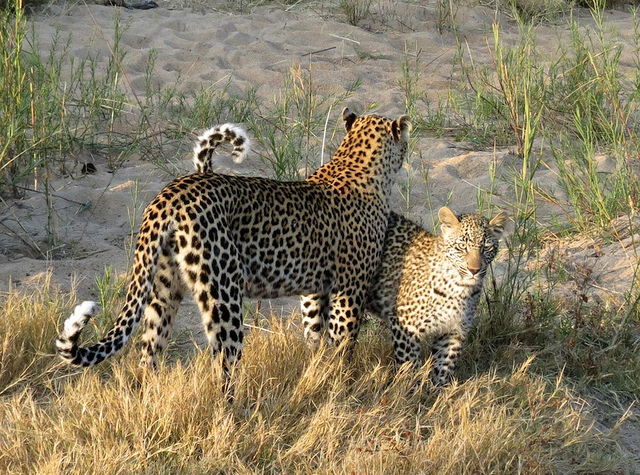 According to John Donaldson, SANBI’s director of research, “There is uncertainty about the numbers and this is not a permanent ban, but we need more information to guide quotas.” Studies and data from protected areas and national parks have not been able to establish the population of leopards in the country and suggested dwindling numbers. However, the Professional Hunters Association of South Africa (PHASA) said that the data and studies gave an incomplete picture. “There are lots of leopards on private land. We are providing the government with leopard data from private lands which have not been accounted for in the studies provided to the government,” said PHASA chief executive Tharia Unwin in statement to the media. According to records from SANBI, shooting a leopard costs about 313,000 South African Rand (about Rs 13 lakh or US $20,000) and PHASA says that this contributes heavily to the country’s economy. The hunting industry—strongly backed by South African Environment Minister Edna Molewa—adds 6.2 billion South African Rand (Rs 2,670 crore or $410 million) to the country’s coffers by allowing tourists to kill animals within their borders. This, claims the government, goes into wildlife conservation. The government officials however were quick to issue a statement that the ban is just a temporary measure and that the hunters who have already paid $20,000 for the leopards will be refunded the money.